By now we all know that the easier you make it on a Buyer or Seller, the more business you’ll get. However, some Realtors are not aware of how easy you can make it. With today’s web 2.0 technology almost all the information a person could need about a property is at their fingertips. Most of us do our research before visiting an open house or commercial property (most of us). But what about those who just happen to be interested when walking or driving by but are too lazy to go in? Put the information in their hands with a QR code or SnapTag. One of these slapped on a Real Estate sign makes it easy for someone to scan and visit your site or information right from their mobile device. SnapTag – You either love it or hate it. The idea behind SnapTag is to encode a logo with any data that can be encoded into a QR code. Its main premise is that QR codes can be ugly and what better way to promote your business than with your own logo. Simple enough. However, the technology hasn’t exactly caught on and some critics say the tech doesn’t work as well as it should. The benefits of these codes are simple. They make it easier for the Buyer or Seller to access your information, in turn, increasing your chances of nailing that listing or selling that property. As for which one to use? I’ll let you try them both out and you can be the judge. This entry was tagged Barcode, Business, business worlds, Commercial real estate, National Association of Realtors, QR code, Real Estate, Real Estate agent, real estate brokers, real estate internet marketing, real estate media, real estate professionals, real estate search, real estate tech trends, realtor, realtor real estate, residential real estate, response code, SnapTag. Bookmark the permalink. I would add that you don’t want to simply link a QR Code to your regular web site. If the content on the other end isn’t optimized for mobile, no one will want to scan your codes after the first try. I also want to mention that our company, tokkers.com, offers talking audio real estate QR Codes with many specialized real estate features. The audio feature gives an extra incentive to scan and produces better results than “plain” QR Codes. 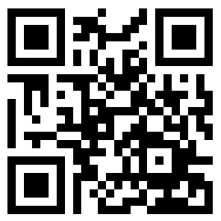 Scan the linked example code below to see it in action.